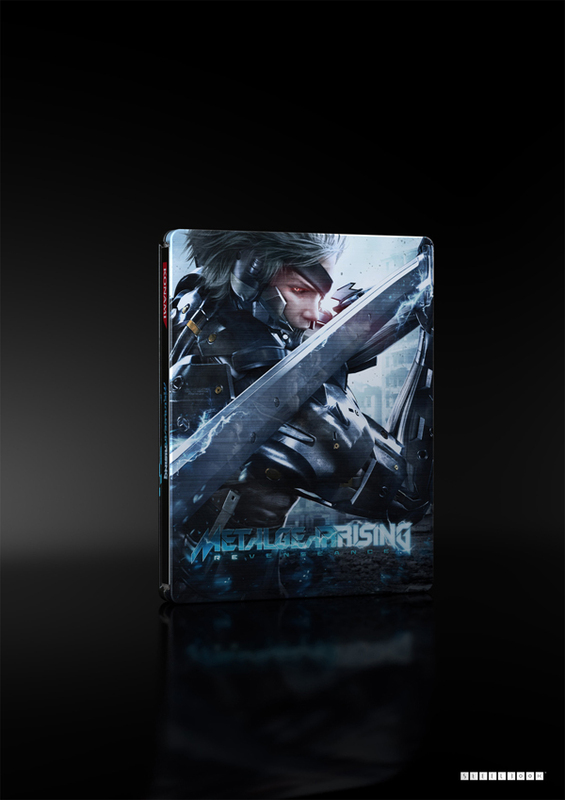 Today, February 21st, marks the day that Metal Gear Rising Revengeance releases in Japan and Europe. Unlike other regions, where customers can choose between a PlayStation 3 or Xbox 360 version, the game is only available for Sony’s system in Japan. 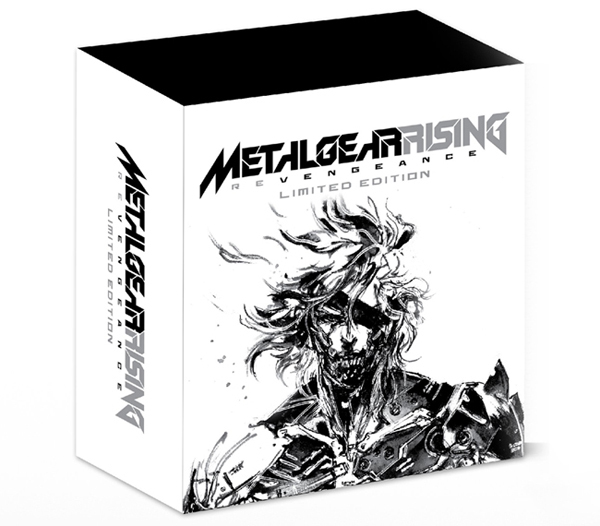 There are two versions: a normal edition and a Premium Pack, containing a special box, art book, soundtrack cd and Dwarf Gekko magnets. 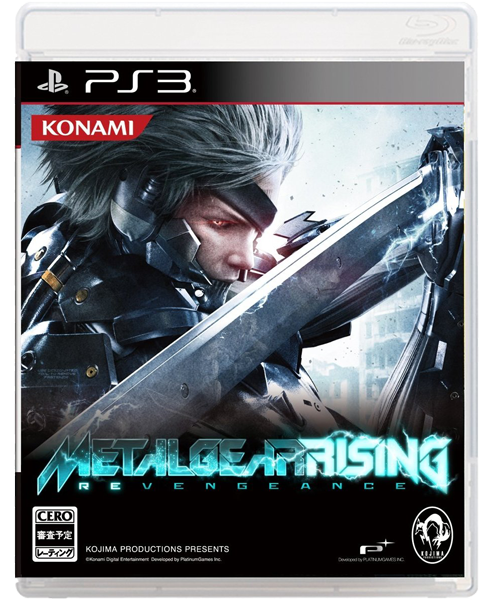 Also available at Konami Style Japan is a Premium Pack combined with a Play Arts Kai Raiden figure. This version will also include a Gray Fox skin download code. In Europe, the game is available for both the PlayStation 3 and Xbox 360. For both consoles, there are 4 different versions in total. Aside from the regular edition, there are two steelbooks, which are sold by different retailers. 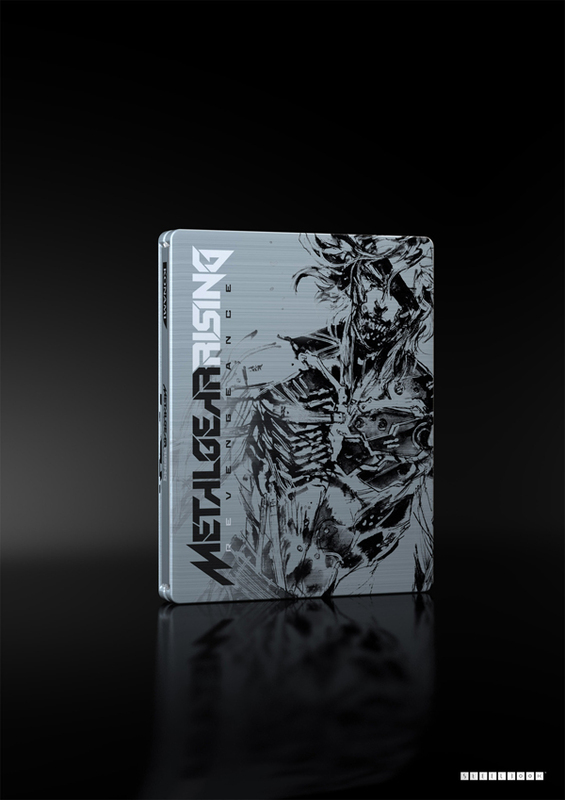 One has a black and white artwork by Yoji Shinkawa on it, the other a colorful render of Raiden (which is the same as the GameStop exclusive steelbook in the US). 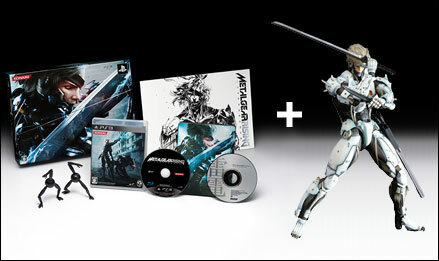 Then, there is also a larger, more expensive collector’s edition which comes with the Play Arts Kai Raiden figure. This version will be sold exclusively by Zavvi in the UK, and by certain retailers in the mainland of Europe. 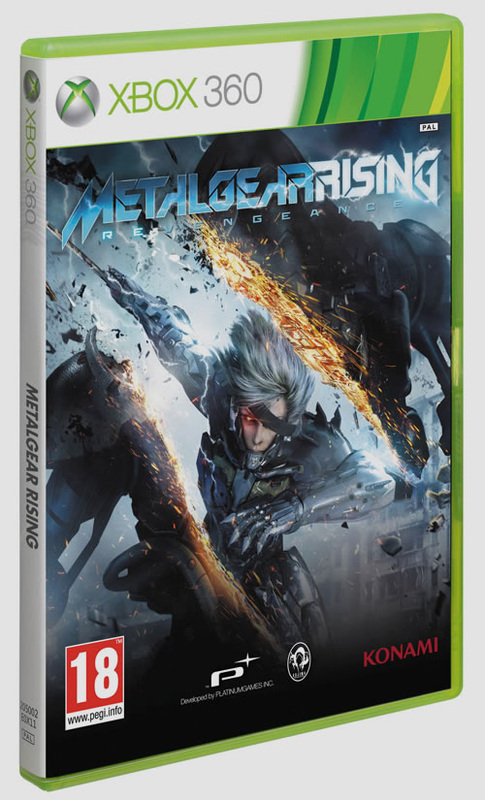 Every version in Europe comes with the downloadable Gray Fox skin.